This is a review of the Cube U25GT2 dual-core Android Mini PC powered by a Rockchip RK3168 ARM Cortex-A9 chipset. There is also an older version of the Cube U25GT with a single-core Rockchip RK2928 Cortex-A9 chipset. As far as I can tell, there is no noticeable difference externally. Pricing online also shows very little difference between the single-core and dual-core models. I do not have the single-core version for comparison but the RK3168 processor is an updated version of the very popular dual-core RK3066. 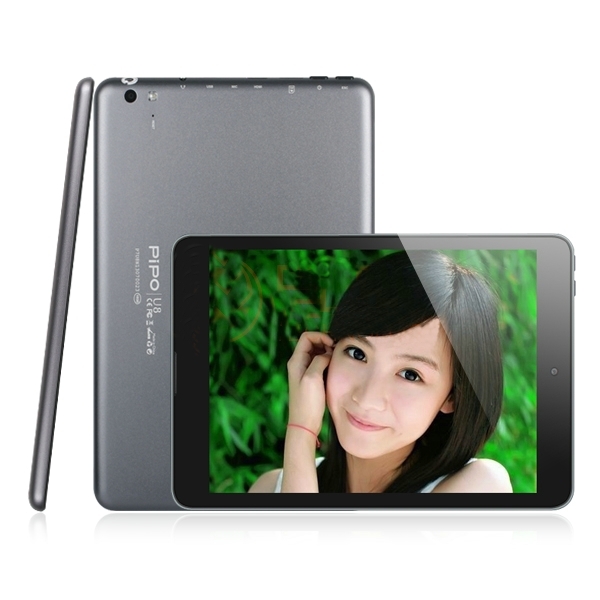 The RK3066 is probably one of the most popular dual-core processors and is widely used by many dual-core China tablet PCs. The RK3168 is rated to have the similar performance as the RK3066 but with lower power requirement. The RK3168 is based on 28nm technology, similar to the quad-core RK3188. The other difference between the RK3168 and the older RK3066 and RK2928 is that the GPU is a PowerVR SGX 540 instead of a Mali 400 MP4. The PowerVR SGX series of GPU are used in many SoCs including the Apple A4 chip that powers the iPhone 4. On paper, the RK3168 version should comfortably out perform the single-core RK2928 version. Besides the processor upgrade, the built-in battery has also been bumped up from 2500 mAh to 3200 mAh. Although the RK3168 is more power efficient that the RK3066, a dual-core chipset does require more juice compared to a single core model. Although the battery capacity has been increased by about 30%, the rated battery life is expected to be around the same which is about 3 to 4 hours of continuous use. 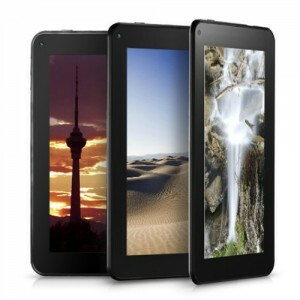 The Cube U25GT has gained a lot of interest as it is one of the cheapest 7″ dual-core Android tablet PC in the market. It has a street price of around $70 to $80 including free international shipping from retailers like Dino Direct and AliExpress. AliExpress has numerous retailers that are offering the Cube U25GT at a great price and some even have free international shipping thrown in. The Cube U25GT has an all-plastic case that is black on the front and white on the back. The plastic does look cheaper compared to the metal housings used on the some of the other models but considering the price, I cannot really complain. The U25GT measures 190 x 115 x 10.5 mm and weighs 320 g. The size and weight is about average for a tablet in the 7 inch class. It fits well in the palm and I can hold it for extended periods without the weight tiring my hand. I couldn’t find much information about the display screen but the quality of the screen is not as good as the IPS screens found on most other tablets I have reviewed so far. This is either a poor quality IPS screen or I suspect it is not an IPS screen but a TFT screen. Colors and brightness is fine when viewed straight on but fades our when viewed at an angle. This is a trait of TFT screens. The Cube U25GT has all the buttons and ports on the right side of the screen. There is a power button, a 3.5 mm audio jack, a micro USB host port, a DC power jack, a rocker volume button and a HDMI port and stacked on the HDMI port is a microSD slot. The single mono speaker is located at the back of the tablet. The front facing camera is 0.3 MP or VGA quality. There is no rear camera. The tablet has WiFi but no Bluetooth or GPS. It has support for USB 3G dongles but not all models are supported. Last but not least, the battery capacity is 3200 mAh. How does the Cube U25GT compare with other tablets? As mentioned earlier, the dual-core version of the Cube U25GT comes with a Rockchip RK3168 Cortex-A9 chipset with PowerVR SGX540 GPU. This should give the Cube U25GT quite decent performance. It should perform better than the Actions ATM7029 quad-core based devices. The PowerVR SGX540 is quite an old design that has been around since late 2007. However, the PowerVR SGX series of GPUs are very popular and many apps have been optimized for them. The display on the Cube U25GT has a resolution of 1024 x 600 pixels. For a 7 inch display, this would be an acceptable resolution. It is a multi-touch capacitive screen but from the display quality, this is likely a TFT instead of an IPS display. 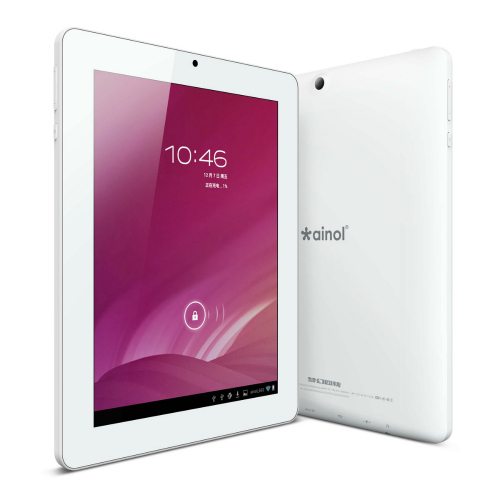 The tablet comes with 512 MB of RAM and 8 GB of storage ROM. The 512 MB or RAM is on the low side as most tablets come with at least 1GB RAM nowadays. A smaller RAM will affect the multi-tasking capabilities and probably causes more lag in some apps. The U25GT comes loaded with Android OS 4.1. With a price of under $80, I was not expecting much from the Cube U25GT. On the other hand, you are getting quite impressive hardware at this unbelievably low price point. At first try, the U25GT performed surprisingly well. The tablet had no problems with watching HD video files. It can handle most of the files I threw at it including 1080p files. The video playback looks good as long as you do not tilt the screen. However, since the tablet is only 7 inch, this is not an issue at all. I hooked up the U25GT to my LED TV via the HDMI cable and the tablet chug along just fine. I didn’t notice any slowdown or dropped frames. Watching streaming video content on both YouTube and Netflix is equally good with no problems at all. If you are using the Cube U25GT primarily for watching videos, it is an ideal device. Next I tried web browsing and it had no problems as well until I tried opening multiple windows. Web browsing performance dropped significantly with multi-tabbed browsing. The smaller 512MB RAM required a lot of loading of web pages when I started to switch between tabs and scrolling around a lot. The pages do load rather quickly so if you have a fast internet connection, this could be more of an annoyance rather than a serious issue. Casual gaming works well with most games running well. Complex 3D games like Dead Trigger are still playable but expect a bit more lag. The lower resolution 1204 x 600 screen probably helped in getting the game to run at an acceptable frame rate. The Cube U25GT makes a good casual gaming device with a little 3D high-end gaming thrown in. Hard-core 3D gamers should probably look elsewhere though. WiFi performance on the Cube U25GT is a little flaky. I am not sure if it is a firmware issue but the WiFi connection can drop at times for no apparent reason. I can be located right next to the router but I will not be able to connect to it. This only happen a handful of times and sometimes it required a reboot to get the WiFi working properly again. The mono speaker is not very loud. It is okay when used for gaming but for watching movies, a pair of headphones or external speakers are recommended. Battery life is acceptable at about 3.5 to 4 hours of heavy use which includes full brightness and WiFi switched on while watching movies, browsing and gaming. With light use, you can stretch this to about 5 hours. 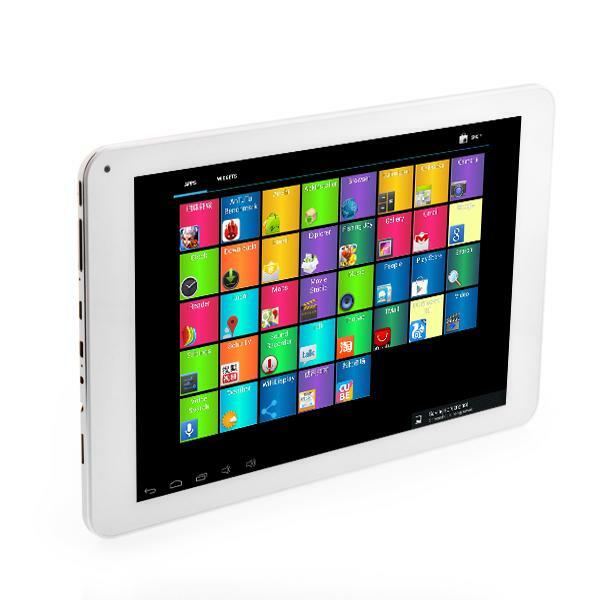 Overall, the Cube U25GT is just an average performing tablet. 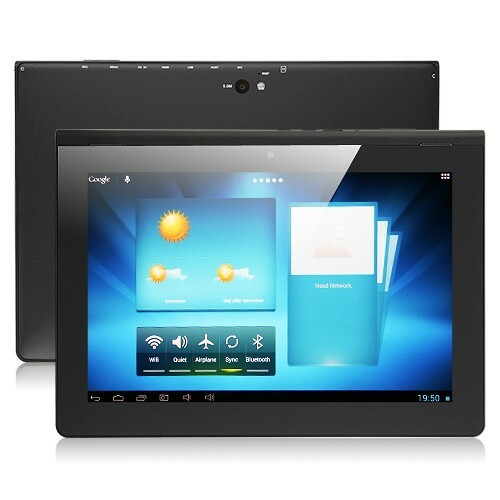 However, it is also the cheapest tablet PC that we have reviewed so far. There are many reasons that you may want a really cheap tablet. The performance may not be great but it may be something that you can live with under certain circumstances. 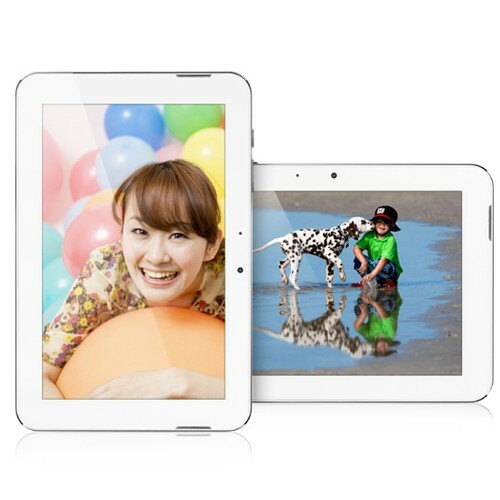 The Cube U25GT is ideal as a tablet for kids. It has excellent video playback capability, runs most casual games fairly well and has decent web browsing capabilities as long as you don’t multi-tab. Another excellent use for the U25GT is to use it as a travel tablet. It is small and easy to carry around. It allows you to easily access your email and do some simple web browsing. At the same time, it would not put a hole in your wallet if the tablet gets stolen or damaged. For an extra $20 I think the Pipo S1 Pro would be a better 7″ tablet. You’re probably right. 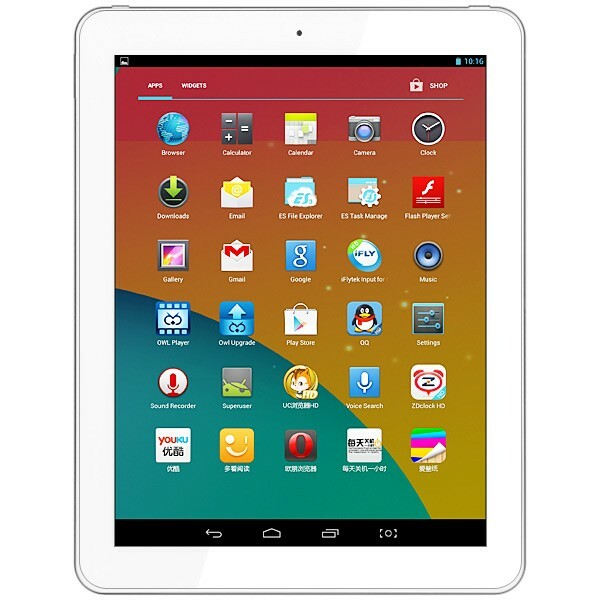 There are quite a few other tablets that are better options if you are willing to spend just a little more. The U25GT is more suited for those who don’t really care about the level of performance but just want something that is cheap. A query, the tablet can be connected to a HDMI TV? Yes, most Chinese tablets come with HDMI out.